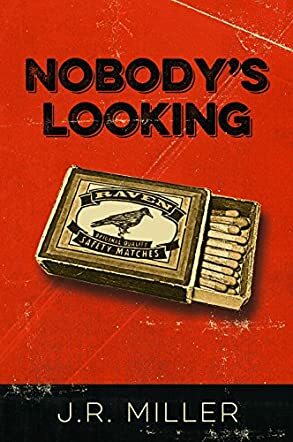 This set of marvelously taut short stories in Nobody’s Looking by J.R. Miller creates more of a tapestry of themes than a formation of discrete tales. With the deftness shown by a confident, sure-handed writer, the author explores the convoluted but continuous crawl, walk, and run to adulthood that may begin in childhood but often resonates strikingly in a crucial, defining moment of later life. Miller often speaks in the wondering, eerily perceptive voice of one young boy who watches and often eidetically records the seemingly disjointed trajectory of youth navigating friendships, family, and peripheral adults, noting as he goes the particular words and phrases, warnings and admonitions which, when viewed in hindsight, are actually prophetic indications and tragically missed opportunities to avoid the darker pitfalls coming straight ahead at him. What J.R. Miller accomplishes in Nobody’s Looking is astonishing. One almost feels that he is reading an experimental novel rather than a series of short stories. The book takes on the feeling of a singular life even though the one telling that life is actually several people, resulting in different viewpoints surrounding a variety of developmental moments. If this sounds complex, Miller keeps it deceptively simple with the tightness of his writing. One does not become confused, but rather finds himself deeply enmeshed in the true complexity of life after having had revealed to him the false simplicity of its individual events. What Miller accomplishes so adroitly is to weave each of these moments – sometimes within individual paragraphs, then an individual story - into a final collection that resembles and resonates with one’s entire lifetime, one that calls out to be relived, or at least re-read.